I’ve always been a book lover, and have grown into loving films as well, even to the point where I\m now involved in a student film group, Outer Limit Productions, in Edinburgh. And I will face the challenge of being the sole editor of our biggest short film yet now that it has all been shot. However, though I love both books and films, the crossover between the two – films made from books – leaves me feeling uneasy. These films often seem to go one of two ways: they can be straight, loyal ‘adaptions’ of a book into movie form, or they can use the ideas, style or any other part of the book and create a new work for the cinema. Adaptions are for the most part far more common, but for me, far more problematic: inevitably, I have read the book and inevitably, I feel that something has been lost in translation. 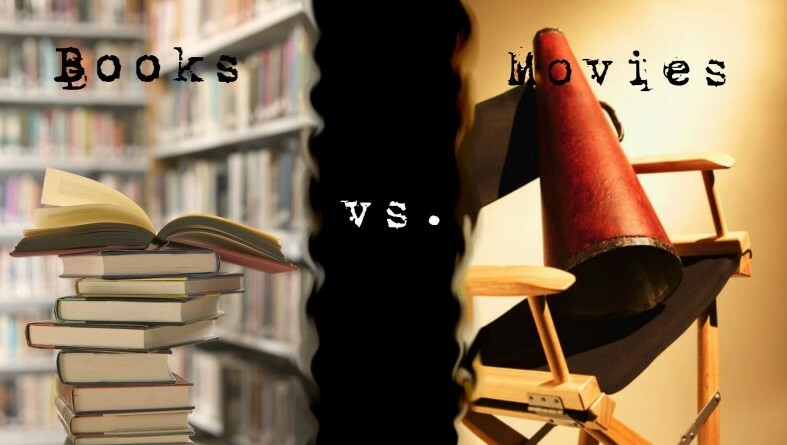 Films and books have many different ways of approaching material. Films have the advantage of the visual presentation of data, allowing us to focus on images and draw associations and connections through them. They can also use sound, music, and light to manipulate our reactions. In books, most of this work is done by the reader through their own imagination – words alone must create settings and emotion, and this often works because we build up our visions of the people and the world of the book in our heads of our own accord. The narration of a book also allows for more freedom to suspend time and tell the reader of events, points of view and opinions that shape our understanding of the story – an effect that some films can follow, using voiceovers or by letting cameras follow points-of-view of particular characters, but many choose not to, since it tends to affect the ‘realism’ or immediacy of the visual image. When a film adapts a book into its visual format, choices must be made as to how to present the same story in a different mode of storytelling. Some details will be used and some discarded. 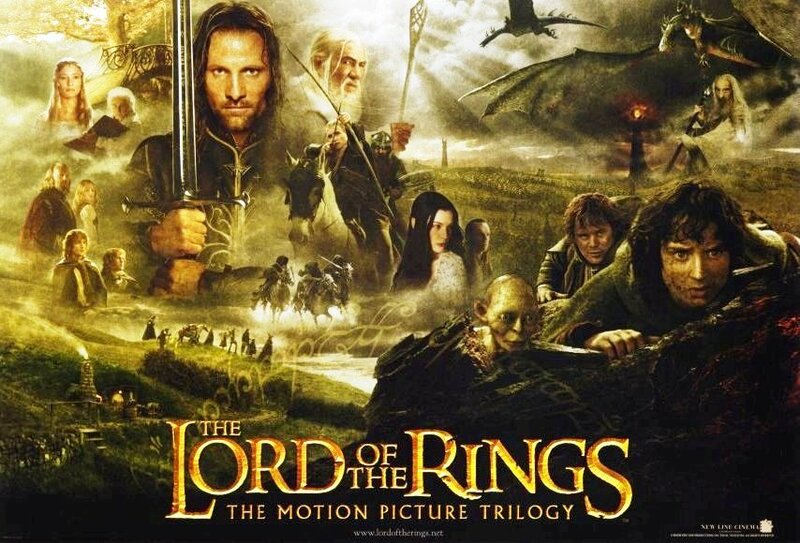 Some film adaptions are resounding successes – I love The Lord of the Rings trilogy, and there’s no denying that the world of Middle Earth, wizards, elves and all, springs to life under Peter Jackson’s eye. However, before I saw those films, the Frodo and Gollum and Gandalf that existed in my head were not the same as Elijah Wood, Andy Serkis and Ian McKellan. I’m not saying that these actors were not excellent choices; it’s just a matter of the different ways in which films and books affect our imaginations.More problematic for me are the choices that affect the story: where is Tom Bombadil, an important part of Middle Earth? And don’t even get me started on The Hobbit, with its excess elves, endless armies, gravity-defying towers and a ridiculously stretched-out trilogy of movies for one, small children’s book! Of course, reactions to film adaptions depend on timing – while my Frodo and Sam now resemble the movie versions of themselves, and Harry, Ron and Hermione have been happily transformed into Daniel, Rupert and Emma, I watched those movies fairly young. I refuse to watch movies of books that I love nowadays, wanting them to remain unique and ‘mine’, existing as they do only in my head: Narnia, for example, and The Time Traveller’s Wife, among others, I have and will continue to stay away from. I can sympathise, however, with those loyal to the movie versions of books, they fell in love with first: Toothless wouldn’t be Toothless for me if it wasn’t for the amazing How To Train Your Dragon movies. Movie adaptions of books can be incredibly powerful, and create visual worlds that convey stories dynamically and immediately; they can show, and often dispense with the telling necessary in the art of literature. However, I am very interested in the types of movies that do something different to the stories that they are based on; after all, a book can never be the same as real life, and a movie can never be the same as a book, so rather than disguising the differences it can often be more successful to explore them. Cloud Atlas was a book that I read recently and really enjoyed parts of, and did not enjoy other parts. I appreciated its ambition, with stories in different time-periods enclosed in each other like babushka dolls, capturing something fresh and startling about the ebb and flow of history and people’s lives. However, I personally didn’t connect that much with the author’s style and found parts of it painful to read. The film offered new ways of looking at the story, which for me highlights the possibilities of storytelling in film versus books: pacing became more intelligent, with climaxes being placed alongside each other and parallels between timelines emphasised and interlinked. I loved the fact that the same actors played many parts, again highlighting the continuities. However, there were new problems that the adaption into film-form created: there was a confusion of storylines and sometimes a lack of clear threads between them, unlike in the book, where these things were explored in more detail. They both tell similar stories but accept and highlight the differences in the mode of telling, and this makes both forms of Cloud Atlas interesting. 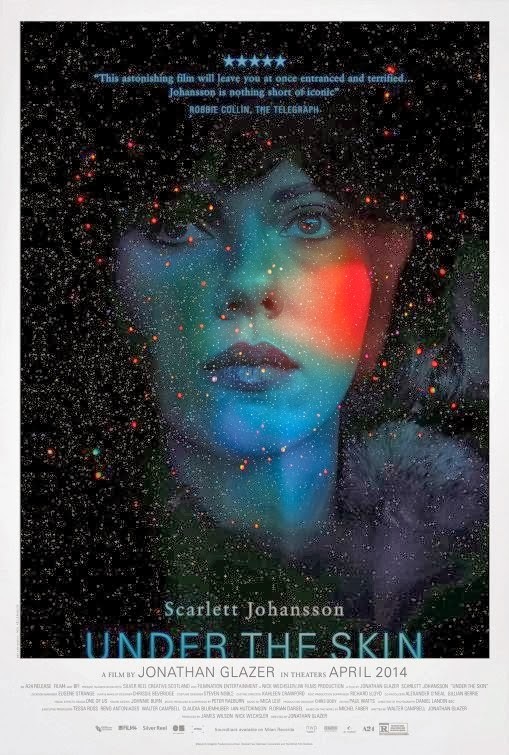 Finally, a movie that diverges even more from its novel predecessor is Under the Skin. Michel Faber’s novel features an alien surgically transformed into a biped and tasked with farming humans for her planet’s delicacy of vodsel, and explores issues of factory farming, environment, society, sexuality and mercy. Jonathan Glazer’s film also features an alien preying on single men in her van, this time in Glasgow rather than the Scottish highlands—a different kind of wilderness—but takes this idea into different places, focusing on an alien’s perspective of humanity, exploiting the camera’s power to explore this idea. Sound is an important part of the continuities between both the film and the book, however: disjointed, echoic, and full of hollows, the soundscape captures the weird atmosphere of Michel Faber’s novel, allowing the movie to stay true to tone while somewhat diverging in content. This honesty I can appreciate, and his surreal, disturbing film diverged from the book enough to create something new and worthwhile in its own right while still remaining connected to the original book. Fiona enjoys watching clouds pass, eating chocolate and stroking cats. She studies English Literature at Edinburgh University where she gets to read books to her heart’s content. She loved being a child and thinks she’ll love being a wacky, crotchety old person, but isn’t so such about this whole ‘adult’ lark. I read this article and found it very interesting, thought it might be something for you. The article is called Addressing the Book Adaptation and is located at http://prancingthroughlife.com/2015/04/09/addressing-the-book-adaptation/.